I recently bought some 32×32 Adafruit LED Panels and found there was a lack of detailed information about how to driver the Panels. Although I found some information I’ve had to reverse engineer certain details and this post details what I’ve discovered. I’ve included links (at the end of the post) to other on-line resources that I found useful while I was developing my driver code. The panel has a 16 pin input connector, you will need to connect all of the pins to drive the panel. All the pins are 5 Volt inputs. Throughout this post setting a pin high means it should be taken to 5 Volts, setting a pin low means it should be taken to 0 Volts. Each panel has a 16 pin output connector, this allows you to daisy chain panels together by connecting the output connector of one panel to the input connector of another panel. The panel is split into two sections, the top 16 rows and bottom 16 rows. The panel only illuminates two rows at any time one from the top section and one from the bottom section. The entire process described below for outputting a single frame needs to be repeated at least 60 times per second, preferably 100-200 times per second to avoid flicker. An overview of the basic steps needed to drive the panel is shown below. 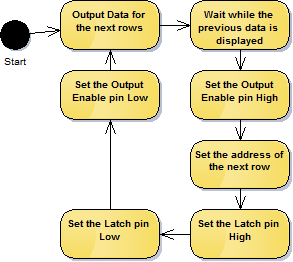 Data is output for two rows at the same time, data for the top sections row is output to the R1, G1, B1 pins and data for the bottom sections row is output to the R2, G2, B2 pins. The data is clocked into shift registers on the panel using the CLK pin. The data is actually clocked into 6 different shift registers that all have their clock lines linked. 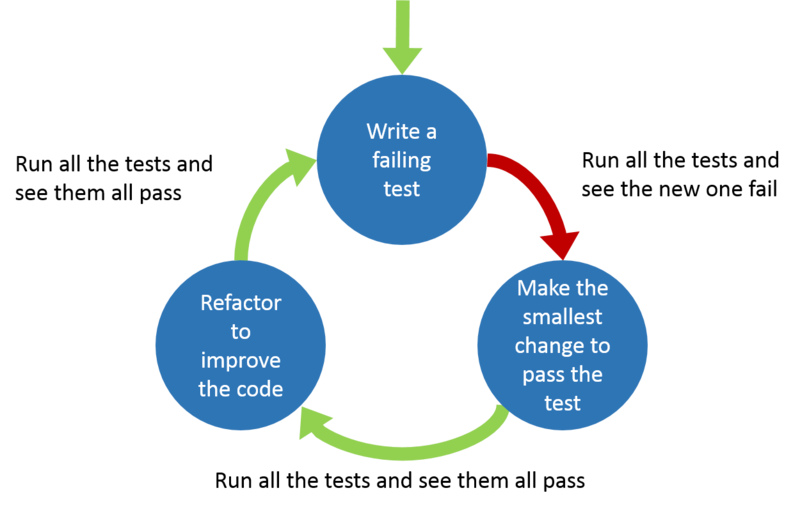 The following pseudo C code shows how this is done. Wait for an amount of time, this time plus the time to output the data for the next row determines the on time for the LEDs on an individual row. The overall brightness of the display can be controlled by varying ratio of the LEDs on time and their off time. This switches the LED outputs off (the Output Enable pin is active low). It’s best to turn the LED outputs off when changing rows to stop any undesired artifacts. Setting the address requires setting the A, B, C and D pins. These work as a 4-bit row address so if they are all 0 the 1st and 16th rows will be illuminated. The address determines which two rows of LEDs will be illuminated. Toggling the LAT pin high then low will transfer the data clocked into the shift registers to the output pins of the shift register. This switches the LED outputs back on. Once rows 16 and 32 have been output start again at rows 1 and 17. This process will only give you 3-bit pixel data so the possible colours are limited to Black, Red, Green, Blue, Cyan, Magenta, Yellow and White. It is possible to get the display to display more colours but I’ll save that for another blog post. This entry was posted in Development and tagged Embedded on 15th January 2015 by byran.